This stuffed bunny pattern is soft, squishy, super huggable, and easy to work up. Any kid who receives one will enjoy cuddling with it. The Classic Stuffed Bunny with floppy years designed by ChiWei Ranck is great to keep you company or for making great gifts for kids, family and friends.The pattern is so easy you could make one perfectly snuggly stuffed bunny in just a few hours. 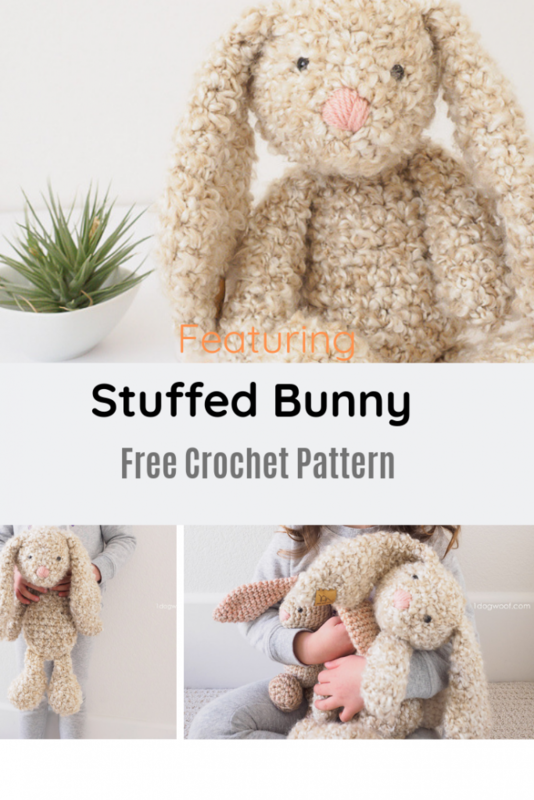 Get the Pattern —> Perfectly Snuggly Stuffed Bunny Pattern. Thanks to ChiWei Ranck, for the article inspiration and featured image. [Crochet Inspiration] Bring Home The Magic Of A Garden With These Charming Guys!